Eid ul-Fitr is one of the most important religious occasion celebrated by Muslims around the globe. Eid is about embracing appreciation, peace, joy, victory, recognition, and forgiveness. Eid is the start of the Islamic month of Shawwal and ending of the month Ramadan, which is a month of fasting and supplication. Numerous Muslims go to shared supplications, listen to a khutba (sermon) after morning obligatory prayers and give zakat al-Fitr before Eid ul-Fitr. Eid is one of those occasions where everybody loves to get ready and look at their best. A night before Eid, girls usually apply various designs of mehndi on their hands and get bangles which match their Eid clothes. Many families also buy shoes and other accessories. Eid is always about flaunting yourself, be it a woman or man. For a women the most important thing on Eid is how she looks. Her dress and other accessories says it all. Usually women their dresses from high-end brands. Women love spending on Eid dresses. And most of the women get three dresses as there are 3 days of Eid. Most of the women go for elegance and impeccable designs while other might go for Digital-print Kurtis, embroidered necklines with chiffon dupattas, floral patterned shirts or something like everyday wear. Usually women want very vivid or bright colors as it makes them look fresh on Eid. Even the little girls like dressing up on Eid. Some girls are very fussy over what they want to wear. Many choose floral/frill frocks, some go for lehanga/sharara, while some choose printed jeans and matching tops. Eid is one of the events that it celebrated at its peak. After all the clothes shopping is done, then comes the turn for matching shoes and other accessories. Many women go for heels which go with their dresses, some get neutral colors which match all of their clothes. 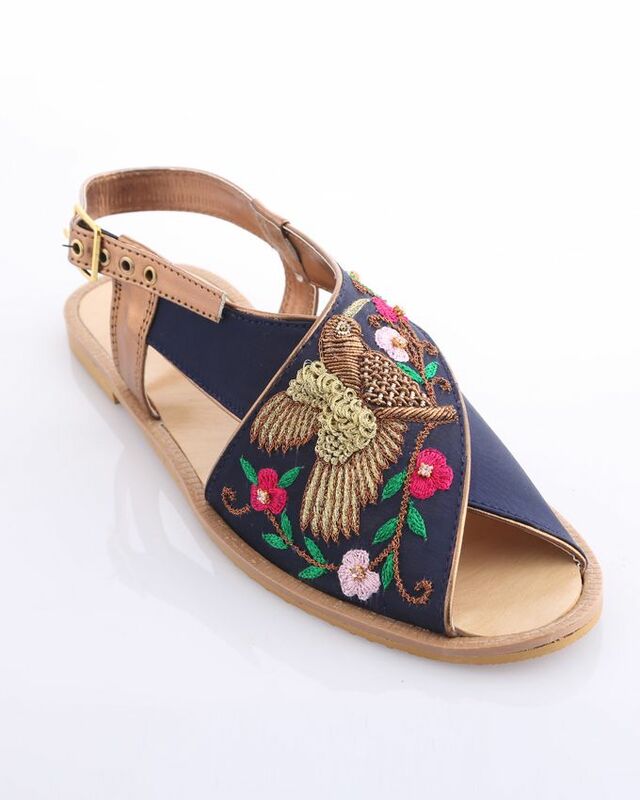 While some ladies prefer sandals and shoes that are easier to carry and are more comfortable. While little girls go for more glittery and shiny flat shoes which of course go with their dress. Khussas and kaula puris are another trend of shoes worn on Eid. Coming to the accessories, many ladies go out on Chand raat to get their accessories while some get them before time to save themselves from the rush and crowded places. Bangles have been the most important accessory women wear since decades. It’s like a part of their clothing only. Some women go for the traditional bangles made of glass, while others go for other types of bangles like metal and thread. Other than bangles, earring and all sorts of other jewelry is demanded by the women and young girls. Eid is just not for the ladies, men enjoy and prepare for it equally. Like women go out to shop, so do men. Men go out to get their Eid prayer kurta from high-end brands as well. 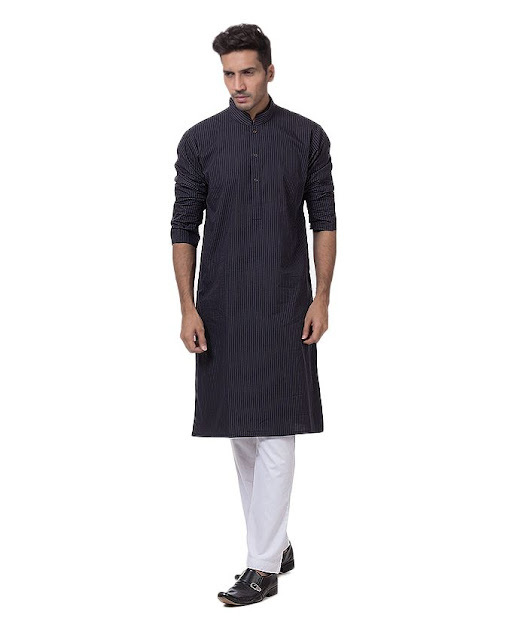 Most of the men would want to get a kurta with some designs on it, like embroidery and piping or some pattern on the cloth itself. At times, men also prefer kurtas or their suits in bright color, symbolizing their celebrations. For shoes, man usually go for different style of shoes than they wear casually. Mostly men prefer a bit of formal kheiri with different material used and different designs. And some men also get a watch as an additional accessory to look nice and complete. Eid collection 2016 readily available on different websites. To avoid the rush and the jammed roads on chand raat, many people purchase their Eid dresses and accessories online. You can also check Eid collection 2016 on many online websites and get your order delivered at your doorstep. Order yours now! Happy Eid and happy shopping.